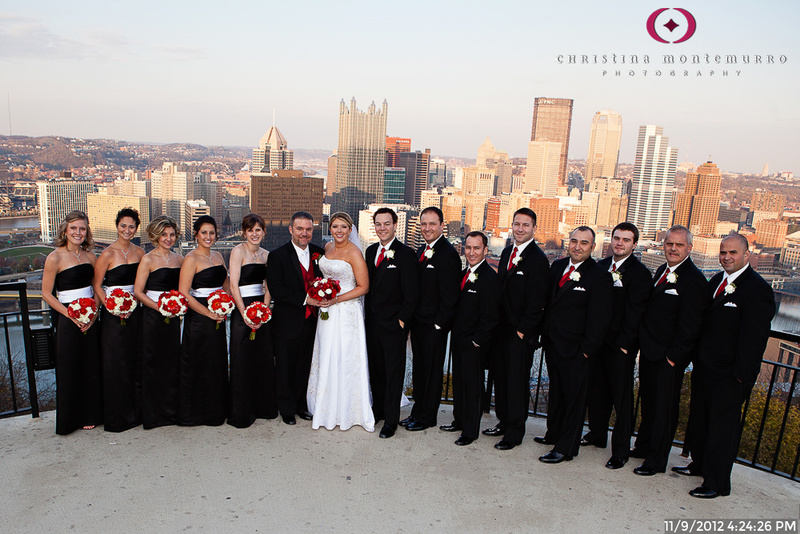 WHY IS THE MOUNT WASHINGTON OVERLOOK A GOOD CHOICE FOR WEDDING PHOTOS OR AN ENGAGEMENT SESSION? If you’re getting married at St. Mary of the Mount, this overlook is right across the street. Since you just have to cross the street to get there, it’s worth the trip! If you’re not getting married at St. Mary of the Mount, I recommend the overlook at the other end of Mount Washington. There’s no fence there and the view is a bit more panoramic.